Fifteen cases of kidnapping, attacks, verbal threats and legal cases against journalists and human rights defender were documented in Punjab and Sindh provinces and federal capital Islamabad during March 2019 under Pakistan Press Club Safety Hub Network, managed by media watchdog organization Freedom Network. Islamabad-based press freedom organization Freedom Network is assisting journalists at risks in four different categories in partnership with eight press clubs in Karachi, Lahore, Quetta, Islamabad and Peshawar besides Khuzdar in Balochistan and Landikotal under Pakistan Press Club Safety Hub Network programme since February 2016. No threat against journalists was reported from Balochistan and Khyber Pakhtunkhwa provinces which were previously regarded as the most dangerous places for media-persons. 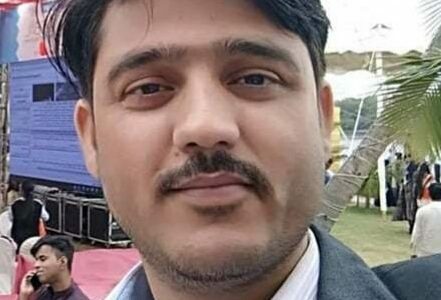 KIDNAPPED: Young journalist Matloob Hussain Mosavi was picked up from his residence in Karachi in wee hours of 30 March 2019 as people in plain-cloths arrived in private and police vans, according to his family. “The men who took away my brother did not tell for what crime he was being taken away,” Minhaj Huusain, brother of the missing journalist, told Freedom Network by phone from Karachi. “He is still missing despite the fact that a case has been registered,” he went on to add. The 27-year-old Mosavi works for Jang newspaper and his brother believes he might have been taken away for his social media activism. “Mosavi told his father that something is going to happen to him,” Minhaj said. However, Mosavi did not elaborate. ASSAULTED: Waseem Nasir, reporter of Dunya News, was beaten up by Punjab Police’s ‘Dolphen Force’ personnel on Multan Road in Lahore on 29 March 2019 during official duty when he was filming scuffle between Traffic cops and public. Camera and media card were snatched. Upon protest from journalists, Lahore Police chief suspended the four Dolphin Force and two Traffic wardens. On 15 march 2019, daily Express newspaper reporter Hassan Abbas was assaulted at the National Stadium in Karachi while covering the final of Pakistan Super League. Police officer Mehmood was alleged to have attacked the journalist. Workers and supporters of Pakistan People’s Party attacked and injured Shiraz Gardezi, cameraman of Geo News channel, and Naeem Asghar, senior reporter of Express News channel, on 20 March 2019 outside a NAB office in Islamabad where party leaders Asif Ali Zardari and Bilawal Bhutto appeared before. The photojournalist received injuries on his face and shifted to hospital for treatment. “While taking shots I was slapped on my face by a party worker and then a group of workers joined him in beating me up,” Gardazi told Freedom Network. Police rescued Naeem when he was surrounded by the party workers. However, he did receive kicks. VERBAL THREATS: Malik Aziz, cameraman of Such News channel in Rajanpur district of Punjab province, received verbal threats from a hospital administrator for making video of sewage water. “I was stopped from doing my professional duty and the administrator warned me of dire consequences,” the cameraman told his colleagues. “No action was taken so far against the administrator despite assurance from higher health department officials,” the cameraman was quoted as saying. Adnan Aziz, journalist working for Lahore Rang TV channel in Lahore, was phoned on 30 March 2019 moments after his story was aired against a government official. “How dared you to air news against me?” the official asked the journalist. “He also used abusive language while hurling verbal threats,” Aziz told Muhammad Asif, president of electronic Media Reporters Association. Dozens of un-uniformed policemen entered house of journalist Deewan Peer Ali in Vehari district of Punjab province on 30 March 2019 damaging household items and warning that he would face serious consequences for his reporting against police in the area. “I was told I would be eliminated if I continue filing stories against police,” Ali told Freedom Network. The raiding cops told the journalist they are from Counter-Terrorism Department. LEGAL CASES: A leaked letter from Federal Investigation Agency (FIA) dated 13 March said legal cases against five prominent journalists and a human rights activist be filed for putting picture of slain Saudi dissident journalist Jamal Khashoggi during visit of Saudi Crown Prince Muhammad bin Salman early this year. The journalist who face legal case threat include Matiullah Jan, Murtaza Solangi, Azaz Syed, Ammar Masood, Umer Cheeman, Ahmed Waqas Goriya, who lives in the Netherland. Nine TV, three print journalists faced different categories of threats while three cases related to Internet activities. State actors such as police, government officials and Federal Investigation Agency involved in seven cases out of 15 cases reported and documented against journalists during March 2019.